I snagged this one because I've always loved the title and the art is great. 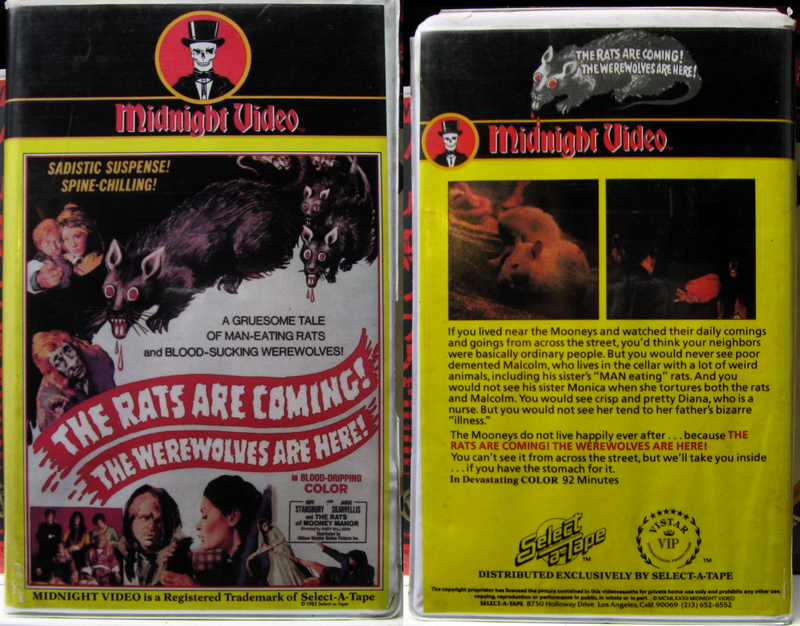 It's in a clamshell, which is odd for Midnight Video who were known for their big boxes. Unfortunately, the bottom area of spine has a few spots where moisture has torn patches off the cover and they're sticking to the case's plastic. It's in great shape otherwise--my first Midnight Video! Argh! I've wanted this one for years! And I'm not paying like fifty bucks for it on eBay. The clamshell is odd for Midnight - is it cut an put into the clamshell or is it just that way? Where did you get this? And also, this is the only Midnight Video that is lacking to complete my collection! Congrats! Very cool indeed. I have a Wizard Of Gore Midnight clamshell. Thanks. I needed a little Andy Milligan to start the day. I don't think I ever got all the way through this one. The movie itself doesn't quite live up to the awesome title and cover art. Dude, sweet find. Great title. Thanks guys! It was on eBay as a Buy It Now for $17.99. A bit high, but it was just listed and I knew if I waited it would vanish in (very) short order.